The Kandooma Resort Pack is limited to 40 surfers per week from 1/4 to 30/10. So you need a pre booked surfers package! 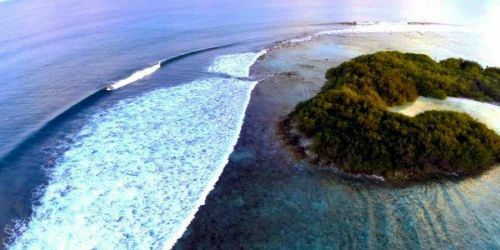 This package guarantees a limited number of surfers at Kandooma Right Surf Break, just 30 meters walking from the villa and few meters paddling to the line-up! 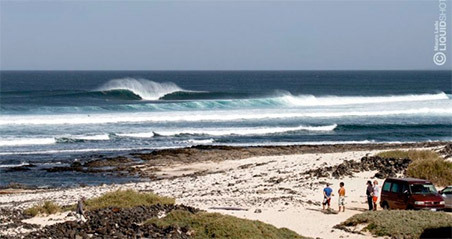 There are 9 breaks nearby, so a great variety of waves, often not much crowded! Resort Dhoni makes 2 transfers per day, to the North spots like Tucky Joes, Twin Peaks, Kate's or Quarter, or to the South spots, such as Riptides, Last Stop or Foxy. With up to 12 surfers on each dhoni. 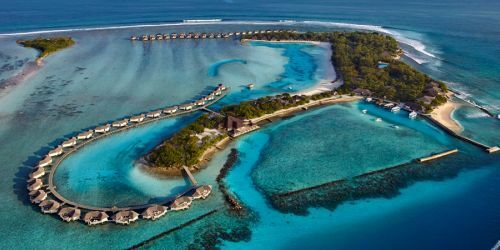 Surfing at the resort is guaranteed, with both European and Maldivian staff, who will give you instructions on spots and daily ocean conditions. The surf center, opened in 2013, features a selection of new, used, short, long and sup boards, including soft tops for those who want to join our surf school. The package also includes an excellent buffet breakfast each morning, a bottle of water, fresh fruit and juice in the room and a speedboat transfer from/to the airport. To reach the Maldives, you need to fly to Male international airport (MLE), normally accessible via Saudi Arabia or Sri Lanka. 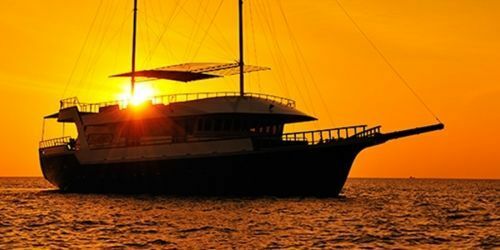 Private Speedboat Transfer: Included in the Kandooma resort pack, we offer Airport/Resort Return Transfer, with private resort speedboat. Most nationalities do NOT need a special visa to go to Maldives (30 days on arrival). We always recommend to check the validity of your passport before travelling (at least 6 months validity from the scheduled return date) and to take various copies of your passport with you, if the original gets lost. There are good hospital facilities in the Male city but we recommend traveling with an international travel insurance. No specific vaccine is required. The local currency is MALDIVIAN RUPIA: 1 MVR = 0,056 € Usually also Euro and Dollars are accepted in resorts and boats.